What you see above is a pinball table. 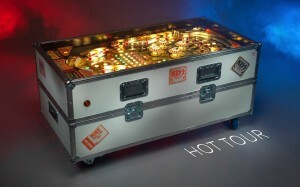 Or, more accurately, a pinball coffee table. 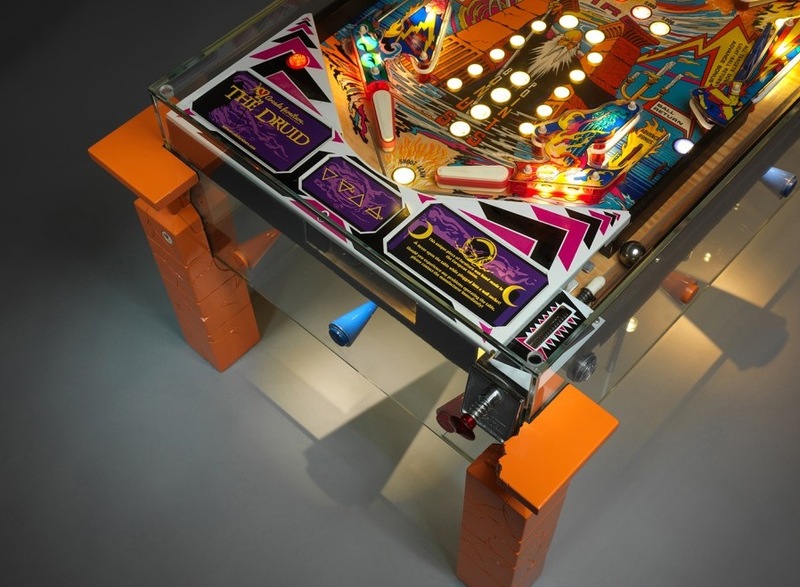 It’s based on a genuine 1987 Zaccaria Earth Wind Fire playfield, and it was dreamed up and designed by Hungarian artist, musician, and some-time advertising Mad Man and pharmaceutical industry consultant (honestly) Andras Lacfi. 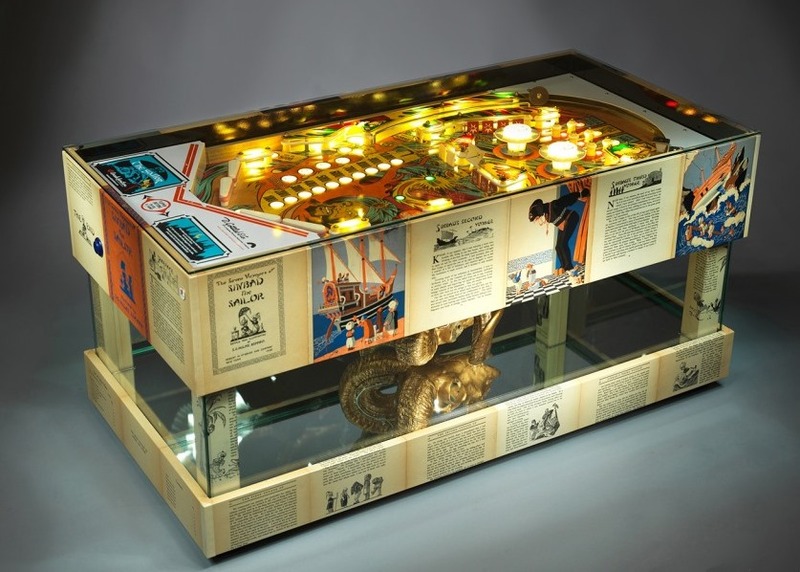 You can’t play pinball on it any more, but it’s one of a rare breed of coffee tables that need to be plugged in and booted up before its lights enter attract mode. 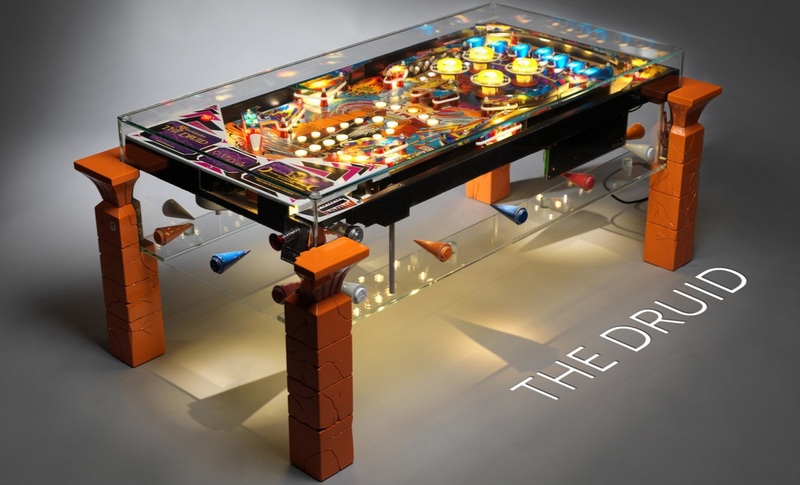 The Druid is part of a growing collection of amazing pinball furniture that are the results of the outlandish ideas emerging from his wild and crazy mind. 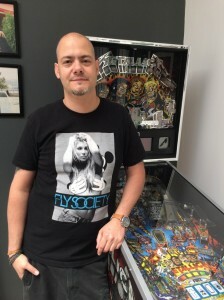 Frankly it would be worrying – if he wasn’t such a nice guy with a great pinball collection that includes Twilight Zone, Circus Voltaire, Theatre of Magic, Metallica LE and Creech. The main problem for Lacfi was that although he was pretty damn good at visualising what he wanted, he didn’t have a clue about woodwork or any of the other craft skills needed to actually make the things he was thinking up. “I realised I would need others to do that, but finding the right person took a long time. But eventually I found a church organ builder who had a religious attention to detail,” he says. 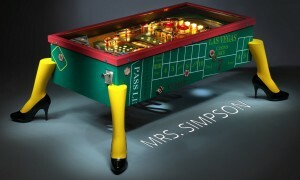 So now he comes up with the concept, based on the theme of the playfield to be used, and draws the designs by hand. He also comes up with ideas for other items that should be included, like radiation meters or used concert passes. To make the new furniture the playfields are stripped, cleaned and touched up, with new plastics, targets and other parts added as appropriate. 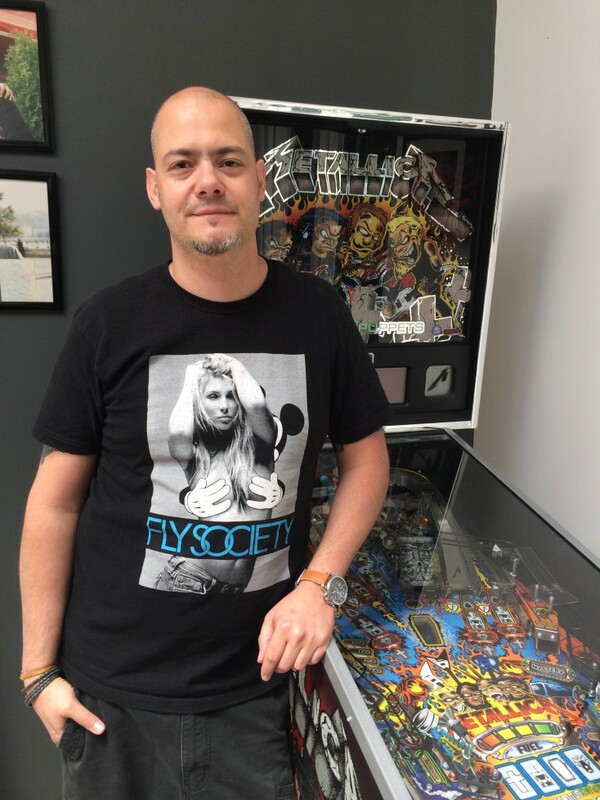 “We basically do what you would do if you were restoring the playfield,” he says. 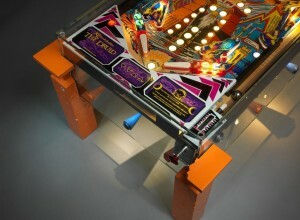 The bottom of the playfield is also stripped (to reduce weight,) and the lighting ripped out and refitted with LEDs. A new power supply and circuit board is also installed to control the lighting and other features. “The tables now have different lighting settings – all off, all on, bottom lighting, attract mode, and sometimes we have working flippers,” explains Lacfi. Reproducing the original attract mode lighting as closely as possible involves writing new software, a task carried out by an old school friend who is now a developer. So now to the sixty-four thousand dollar question: how much do these babies cost? Given that they may take hundreds of hours of work to make they are never going to be cheap, and each one is priced differently. Let’s just say that they may be as little as $10,000, or as much as an eye-watering $15,000. You could get a very nice collection of pinball machines for that, but it’s high-end interior decorators, rather than pinheads, that these artworks are aimed at. The Druid would look great in Pavlov Towers, but somehow you get the feeling that it ain’t going to happen. Check out more of Lacfi’s work at Arcade Furniture. Pavlov’s verdict: Bonkers, but utterly brilliant. It's not exactly rocket science. But almost.